Coconut water is 100% natural. It is healthy, full of vitamins and minerals, and benefits your body. Send us your order and we will ship to you anywhere in the country! The banana leaves are used as decoration and for serving dishes for auspicious ceremonies in Hindu and Buddhist cultures. 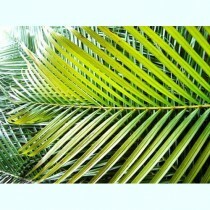 Coconut palm leaves are used to create shade or tropical decoration. Choose one of our leaves and be proud of your decoration work. From full design landscape to mild enhancements or features, we are your`one stop shop. Now, available all year long to the whole country. You can drink fresh coconut for your health. Located in South Florida. We have a 40 acre nursery of coconut palms. 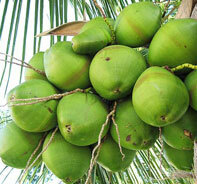 We cultivate and distribute the highest quality, organically grown, coconut water im the United State. Call ENGLISH, SPANISH OR PORTUGUESE 1-954-297-6677 or 1-954-658-4248. © 2014 Florida Coconuts. All Rights Reserved.